The designs of Iron Man suits have always fascinated fans all over the world with its incisive geometric forms and innovative designs. 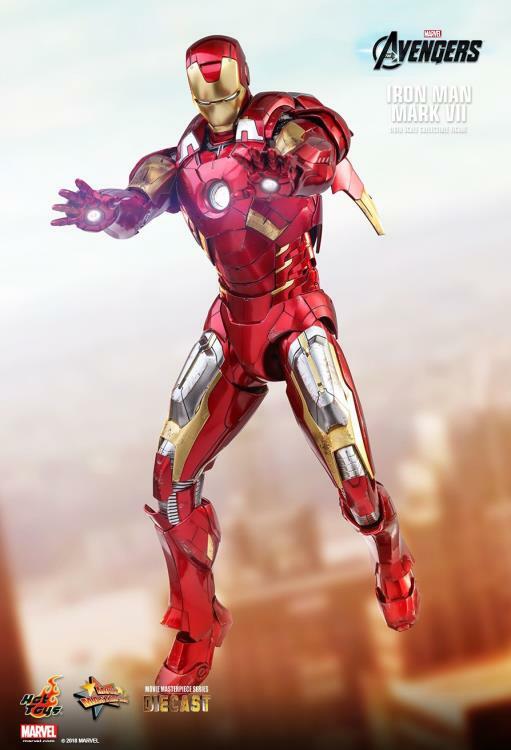 To celebrate the 500th creation of Movie Masterpiece Series, Hot Toys is delighted to officially present fans the diecast version of the iconic Iron Man Mark VII 1/6th collectible figure from The Avengers by Marvel Studios. With a more masculine, more progressive and a distinct exterior design, the integrated Suit of Armors promotes its beautifully engineered features that surpass its predecessor. 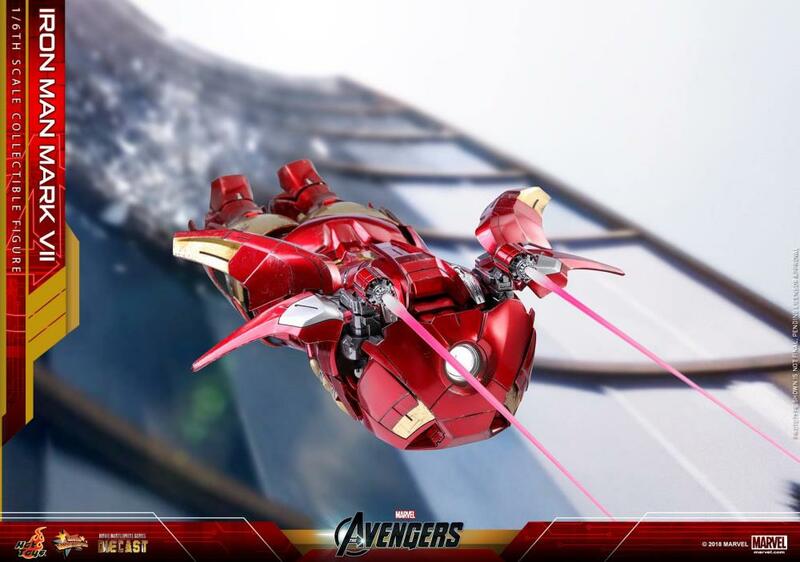 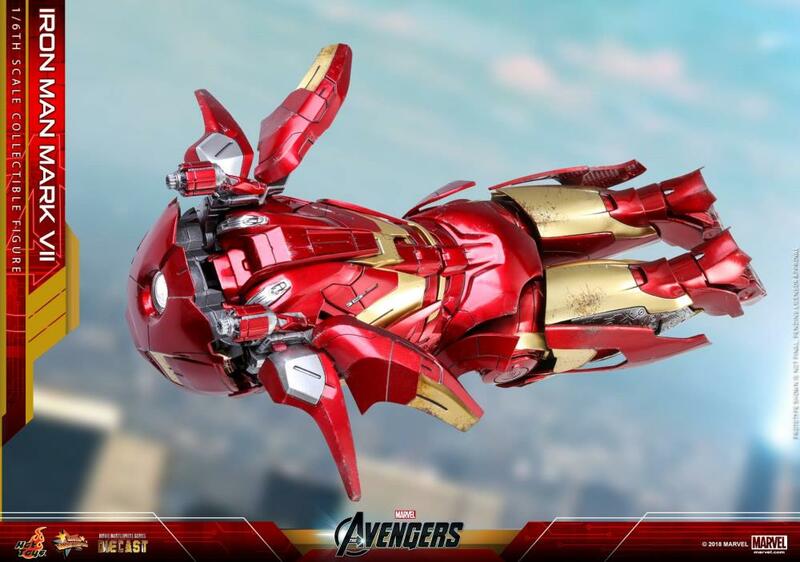 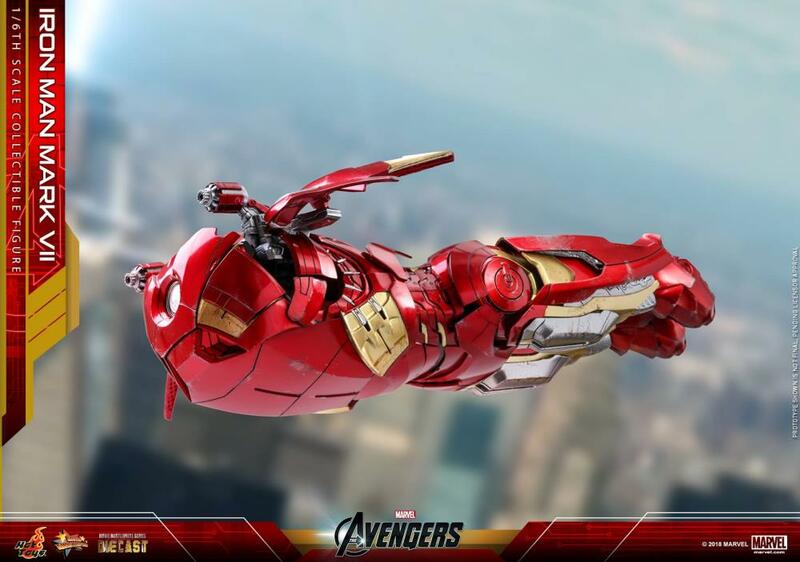 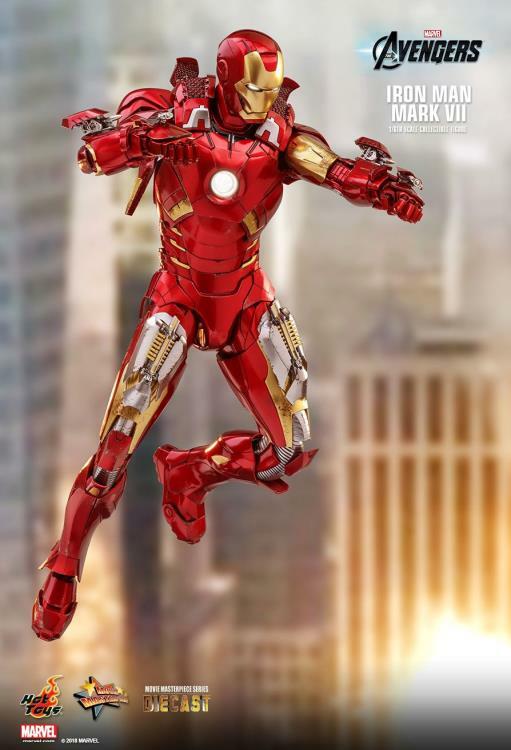 Inspired by one of the jaw-breaking scenes that presents the suit launching to wrap around Stark momentarily, this Hot Toys Iron Man Mark 7 successfully recreates the complicated yet distinctive alternative form – the large suit pod. 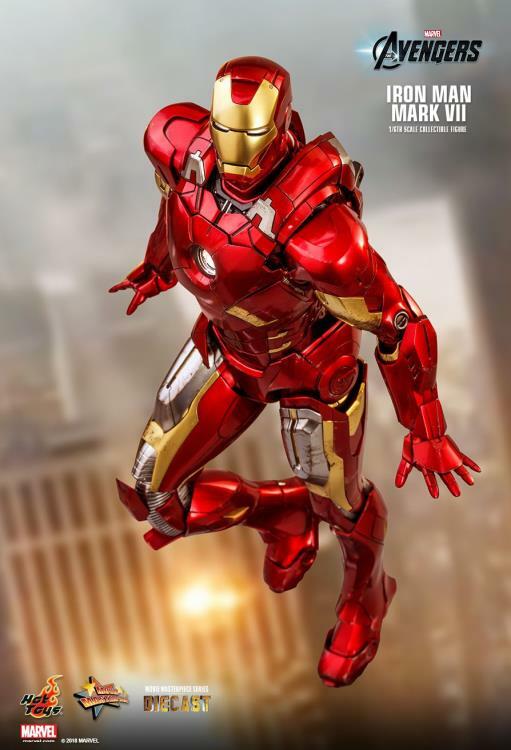 This 1/6 scale Iron Man figure is also the first time that Hot Toys adopted the dynamic armor forms in its one-of-a-kind collectible figures, and it is surely a visual highlight that Iron Man fans have been longing for. 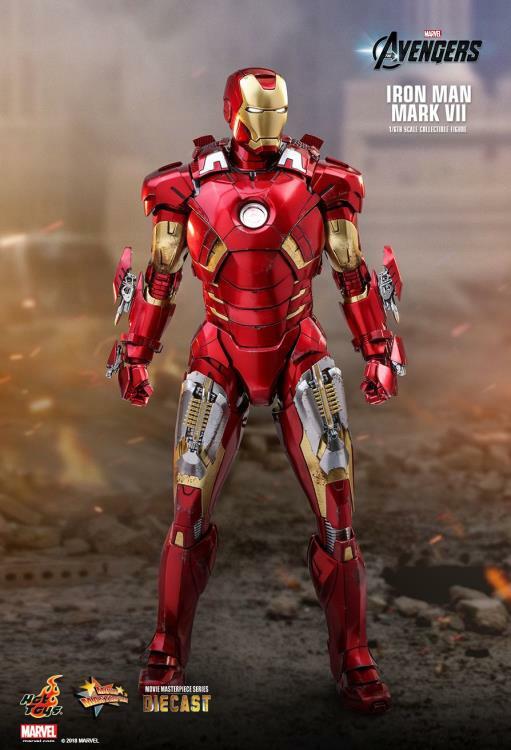 As one of the most popular armors in Tony Stark’s arsenal, the screen-accurate 1/6th scale Hot Toys Iron Man Mark 7 is made with diecast materials and expertly crafted based on its appearance in the movie. 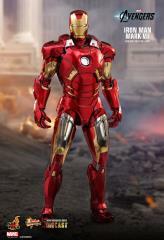 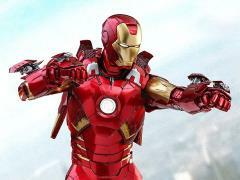 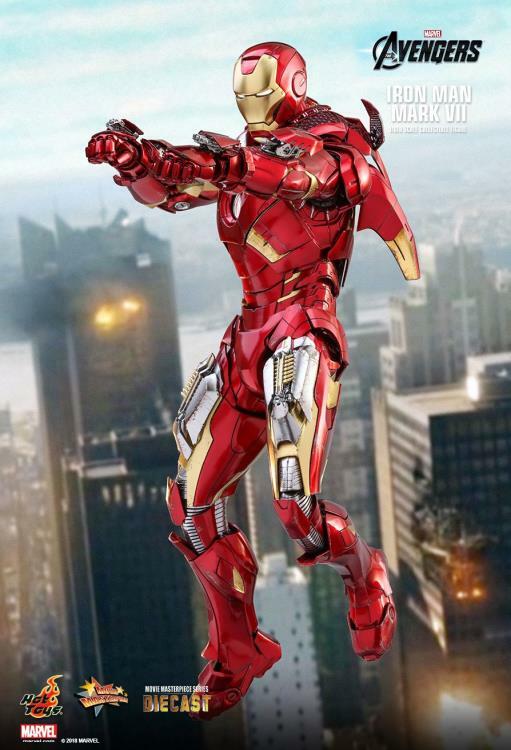 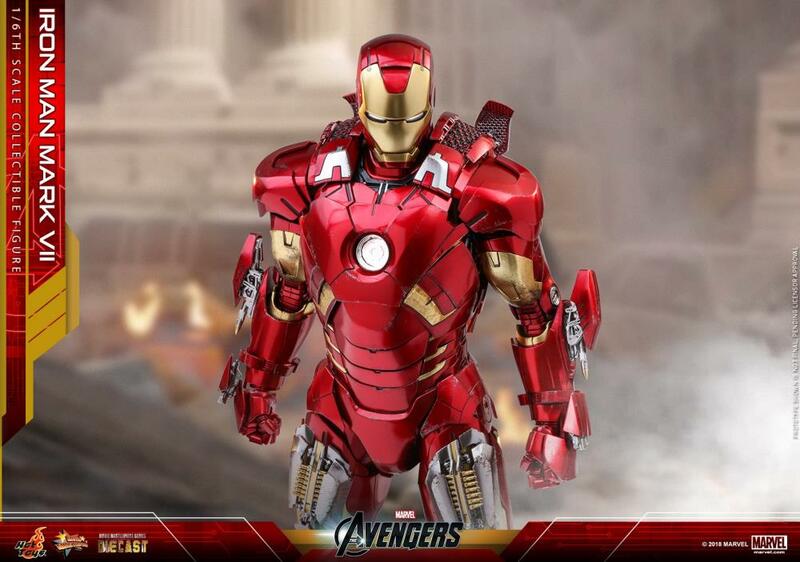 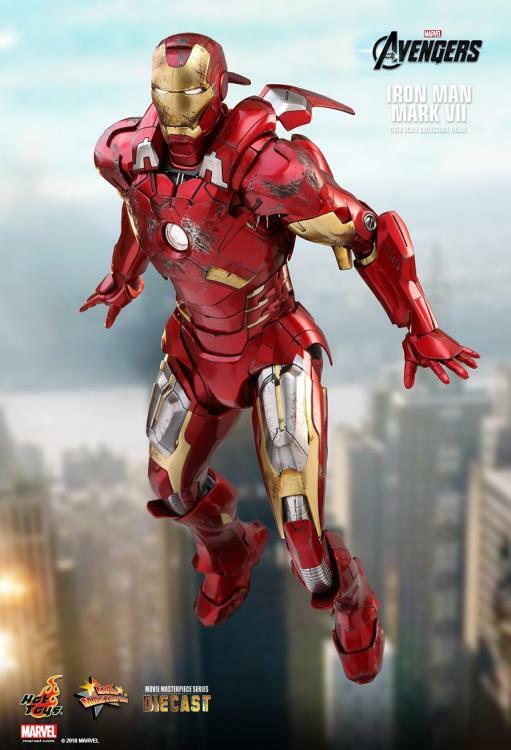 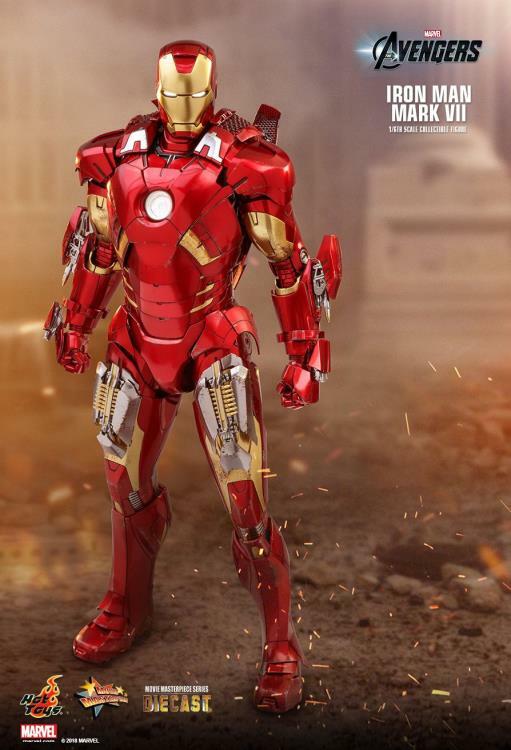 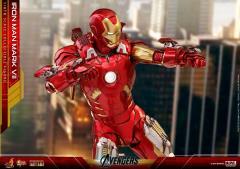 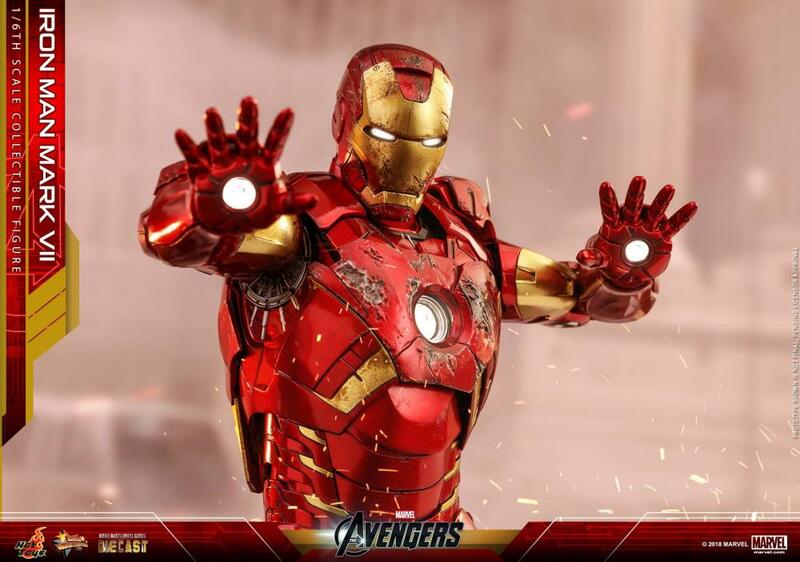 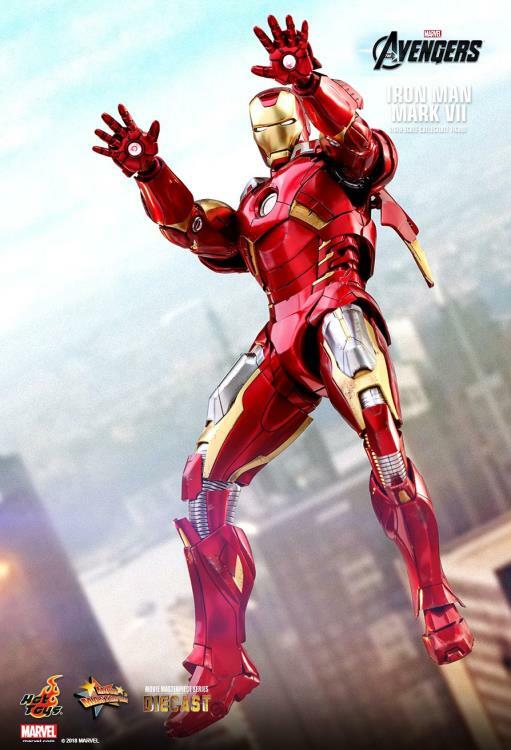 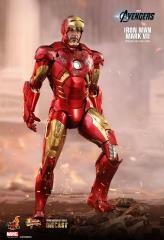 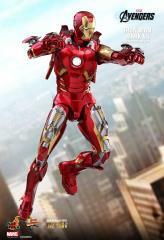 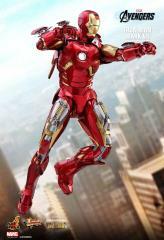 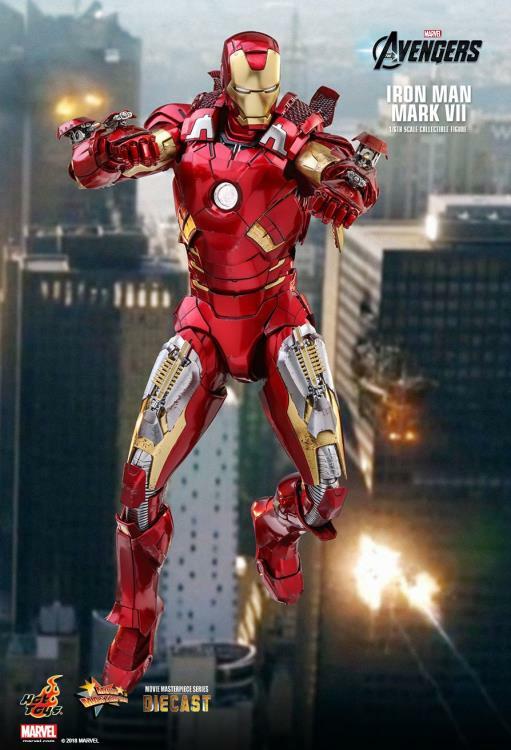 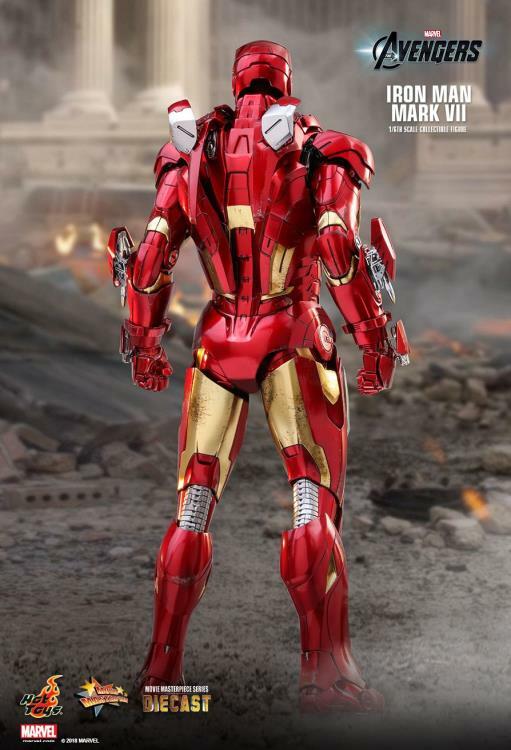 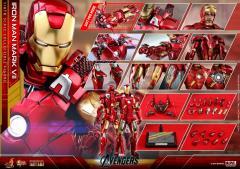 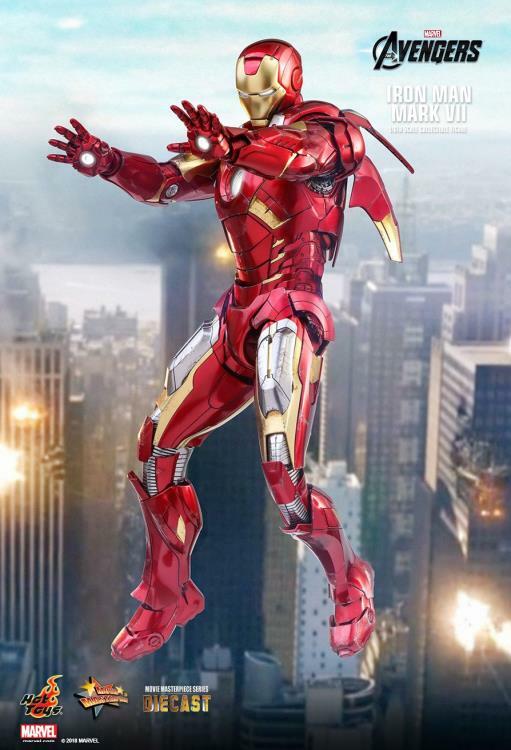 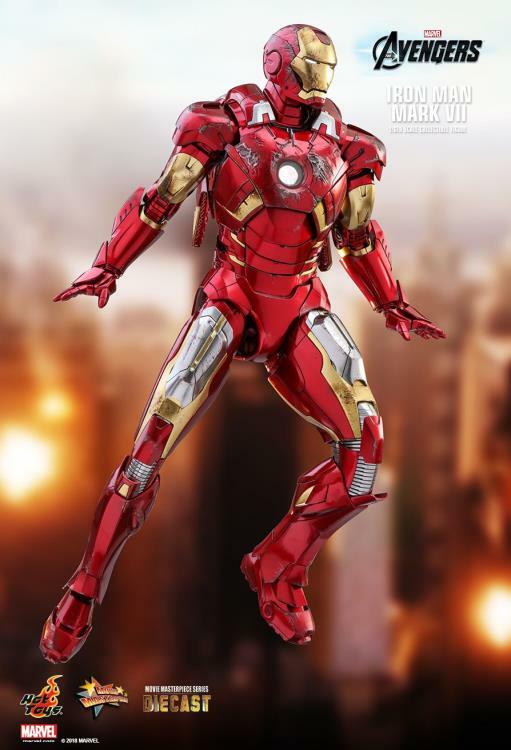 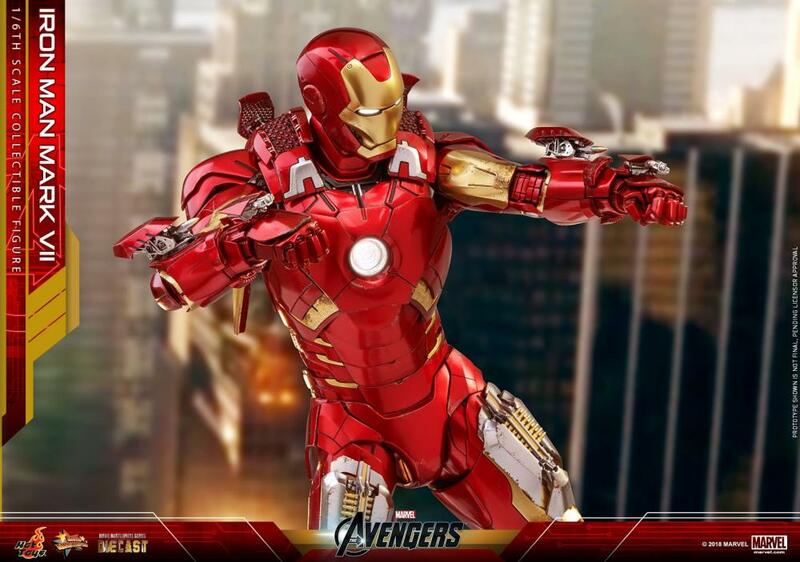 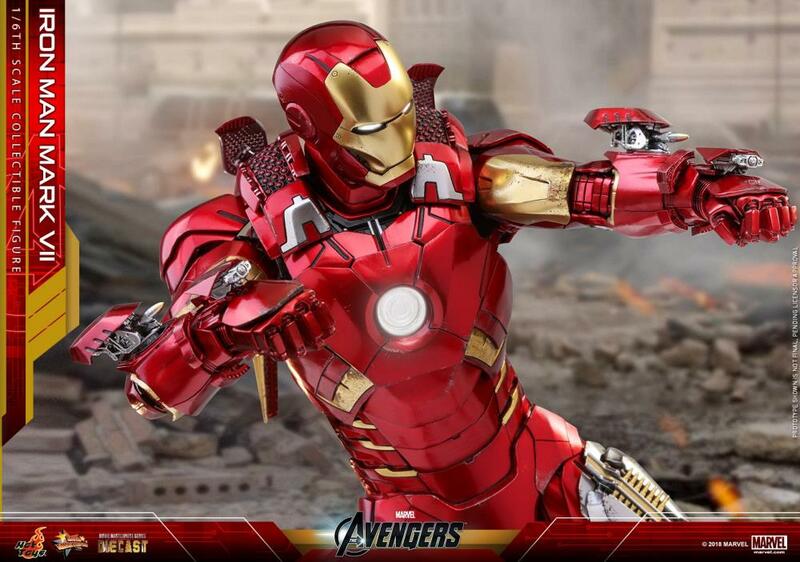 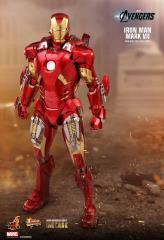 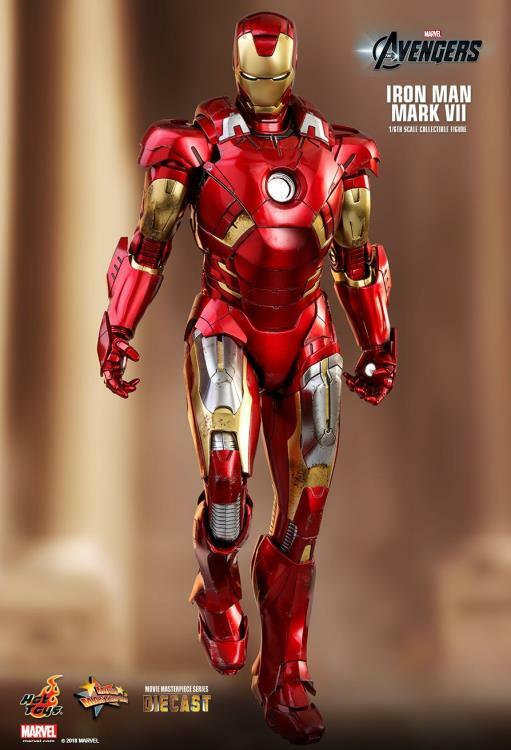 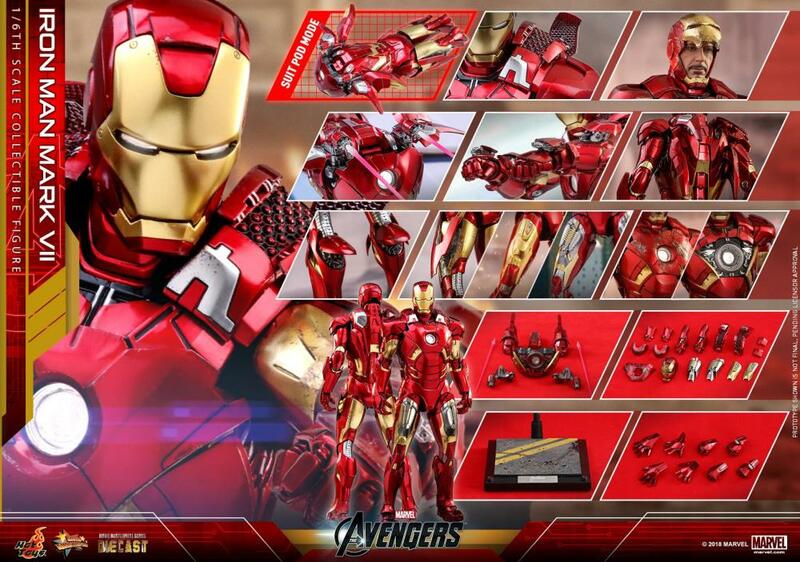 The approximately 32.5cm tall diecast figure features a newly painted head sculpt of Robert Downey Jr. as Tony Stark/Iron Man, an interchangeable LED light-up helmet, movie-accurate proportion and substantive detailed armor design with great articulations and the unique suit pod mode, metallic red and gold painting on armor, interchangeable shoulder and forearm weapon-firing armor parts, LED light-up functions on eyes, palms, and arc reactor, as well as a specially designed diorama figure base! 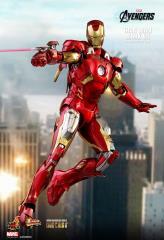 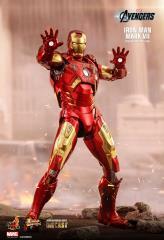 Add this 1/6 scale Iron Man to your Marvel figure collection today!